Five steps down to one! Recognising that VortexBox will do a large part of this for me, I installed VortexBox in my home network within a VMware 'virtual machine' and got VortexBox up and running. This is all pointless without having any music to play of course, so this week I integrate VortexBox into my existing music network by linking my digital music files to VortexBox. I then describe where bliss fits into the workflow, and finally and most importantly I get to play some music! A quick warning: this post contains some specific Linux related techie language! All this is possible within Windows and Mac environments too, but my chosen home network technologies tend to be Linux based ones. We already know from my previous post that VortexBox contains a Squeezebox Server for distributing music around the home. A Squeezebox Server is a piece of software that plays music from a directory on your computer's hard disc. So, to integrate my newly installed VortexBox with internal Squeezebox Server with my existing music, I need to link the nominated directory with my music. My music is already available from my NAS via NFS, so all I need do is 'mount' the NAS's music directory to the nominated directory on the VortexBox. To do this, first I make the music available from the NAS, then I perform the mount on the VortexBox to access the music. Now, every time VortexBox starts, it will mount the /storage/music/flac directory automatically so my music plays with no effort. 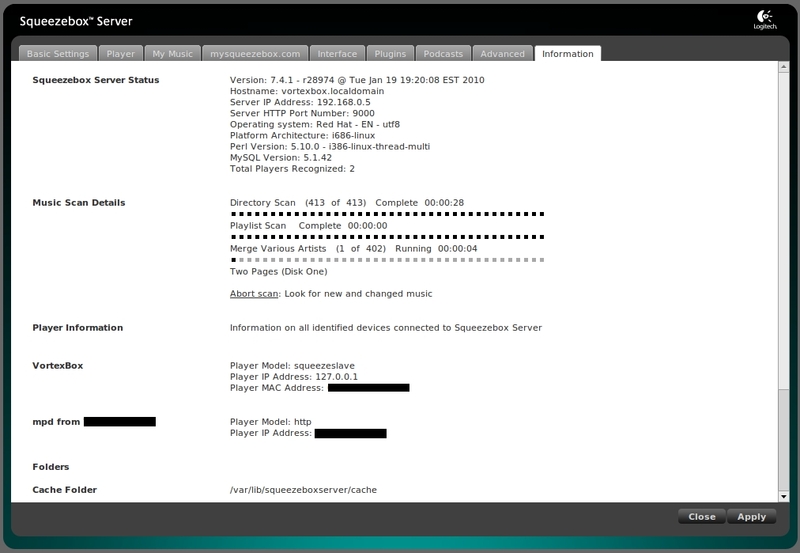 With the directory mounted, and the music files visible on the VortexBox, we can now tell the VortexBox's Squeezebox Server to 'rescan'. 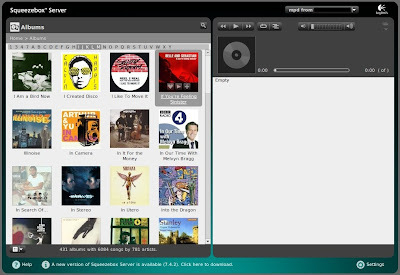 Rescanning is the process the Squeezebox Server undertakes to update its internal database and make music available for playback. Where does bliss fit into this? 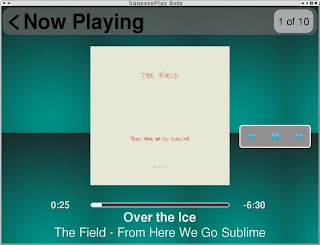 bliss isn't dependent on Squeezebox Server or VortexBox, it works on the digital music files directly. As a result, I have kept bliss running on the NAS, co-located with the music files, rather than install it in VortexBox for now. That said, either configuration would be acceptable. Whenever I move music onto the NAS, bliss recognises the music and conforms the album art against my rules automatically. For instance, if I move an album over with no embedded album art but with a co-located image file, the image file gets embedded into the music files without me doing anything. Now... the important bit - listening to the music! I started up SqueezePlay to test my work. After choosing the new Squeezebox Server with the 'Choose source' function I soon had music streaming in full FLAC quality. And there we have VortexBox streaming my music around my house once more. Next week we complete the final steps in our digital music workflow when we setup ripping from CD, automated tagging and album art, and automatic rescanning of the Squeezebox Server.